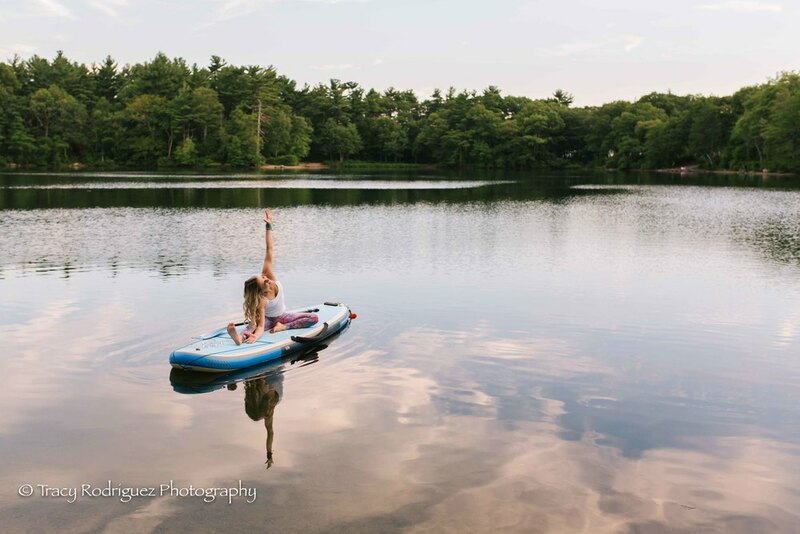 It was such a pleasure to work with the lovely Kathryn Ford Richter earlier this week for her yoga photo shoot at Houghton's Pond. Kathryn is an absolute joy who exudes happiness and warmth. Shooting with her was like shooting with a dear friend even though we had only met briefly before this. It's what I absolutely love about what I do, getting to work with amazing yogis and seeing their spirit shine through during our photo shoots. 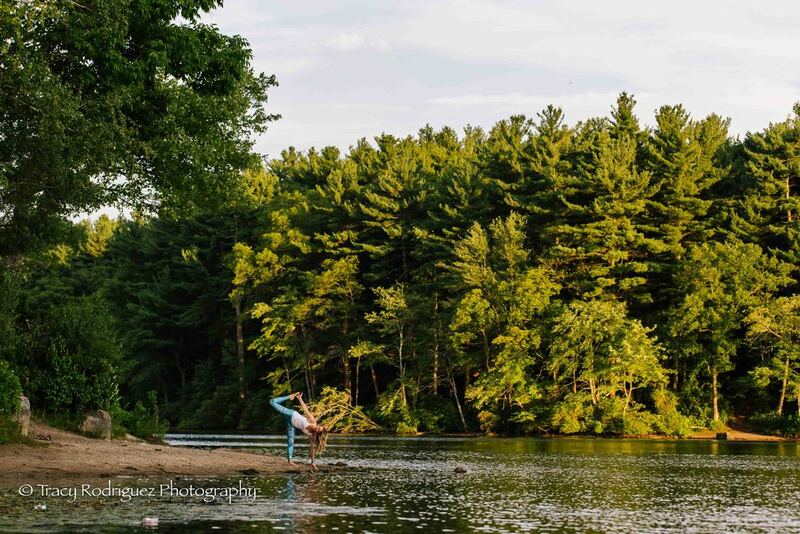 We captured the beautiful scenery at Houghton's Pond in Milton, utilizing a few little nooks and sandy shores in remote places on the property. While I've spent a few lazy Sundays here with my husband, this was my first time photographing at the pond and I can say with certainty that I will back to capture this very New England location. 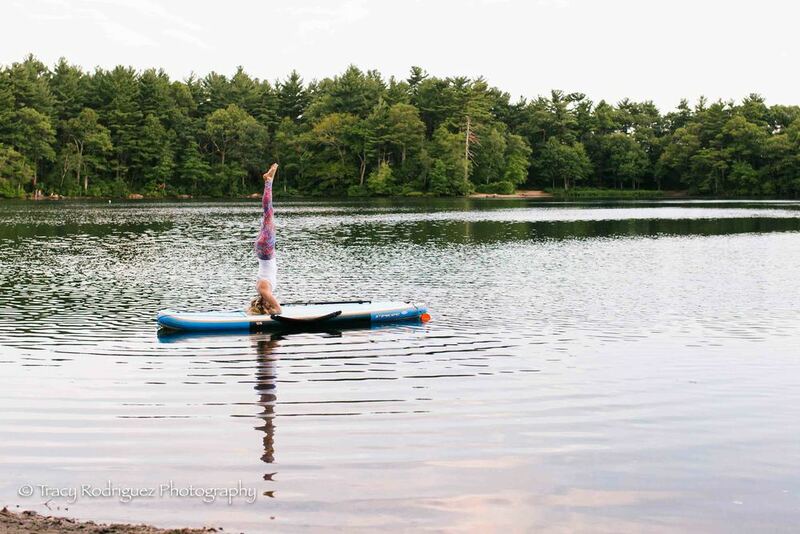 Kathryn is a health and wellness coach and leads AMC retreats in New Hampshire. You can also find her teaching at Humble Warrior Yoga in Walpole, MA. And now, I can't wait to share these previews with you! Enjoy! If you're interested in booking a yoga photo shoot, please contact me today! TEAM Tracy Rodriguez Photography is coming to Yogathon 2018!! Yogathon 2017 Photographs Coming Soon! Spring is coming! Book your yoga photo shoot today! TEAM Tracy Rodriguez Photography is coming to Yogathon 2017! !